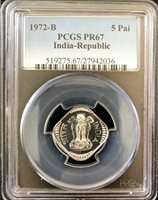 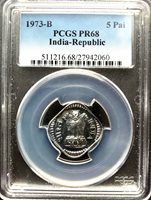 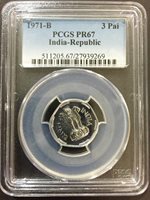 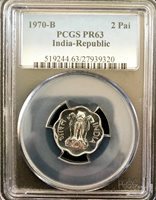 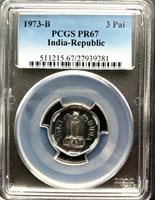 India 1971-B 3 Paise Proof PCGS Graded PR 67 HIGHEST Grade ! 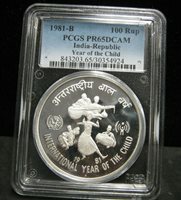 1981-B India Republic "Year of the Child" PCGS PR65 DCAM - Unlisted Mintage! 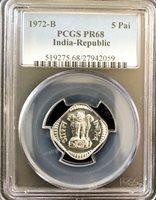 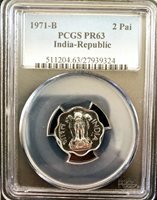 India 1973-B 5 Paise PROOF PCGS Graded PR 68 HIGHEST GRADED ! 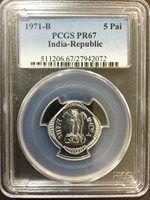 India 1972-B 5 Paise PROOF PCGS Graded PR 68 HIGHEST GRADED !